Tulle is one kind of extremely lightweight fine textile. Most of the times, it is made of fibers like rayon, silk, nylon. Sometimes it may be made by cotton also. This textile has an attractive stiffness. In fashion designing tulle has several kinds of uses. Most of the times, it is used to made wedding costumes. Beside this any types of fancy dresses can be made by tulle. 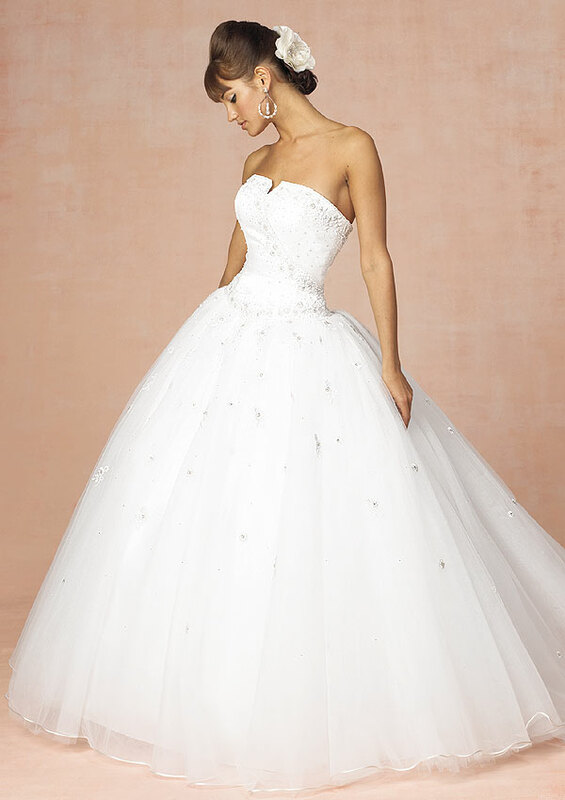 As tulle has an attractive look, due to it's shining gloss and various colors, it is very popular as wedding dresses. Many people prefer it as a wedding costume to make their wedding ceremony more gorgeous and memorable. Tulle costumes have a great synchronization with flower colors. So, it can bring a tremendous look at any wedding ceremony. Besides it has a popular usage to decoration. Tulle rapping is very popular among people. In this article I would like to tell about wedding decorations with tulle. Tulle can be regarded as a symbol of brides. Skirts made by tulle are very popular to the brides. It can be colorful, with extra light weight and can bring comfort. It can be used as any part of a bridal costume. It can be used at skirt as well as to the gown to the bridal hats. For making bridals hats tulle is almost essential. Fashion designers also prefer tulle. Because of it is easy to give fancy and nice look by using tulle. Tulle can be used as a decoration component too. It can be decorate with flowers, balloons, festoons, or as a wrapping medium. As it is available in various color shades with variety of color gradients it can be decorated nicely with other supporting materials. From the door to the bride stage, tulle can be used at any part of a charge or community center. Tulle is not very expensive too. It can be easily affordable for a wedding ceremony. You can get various colored tulle at your local market. There are different qualities also available in different prices. You just need to choose the perfect color for you among them. As tulle is a net type textile made of glossy spinning material it can bring a nice, reflective and gorgeous look against light. Decorations with lights and flowers tulle are unpredictable. Due to its flexibility your can decorate tulle into many shapes. You can make ribbons, confetti also by using tulle. People are bored to see as usual traditional decorations at wedding ceremonies. But tulle can bring aristocracy to your ceremony. Everyone likes to make her wedding ceremony special and memorable. For this purpose tulle is the only thing can satisfy you. It is very suitable for bridal costumes as well as to decorate interior of ceremony place. Tulle decorations can make people to say wow! 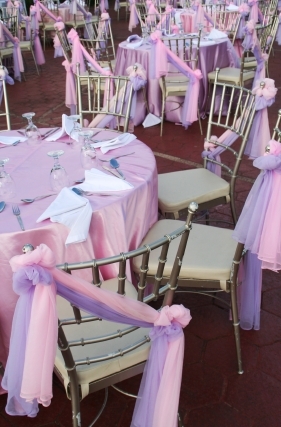 So, it is not difficult to decorate your wedding ceremony with something special at low cost. You can get tulle bridal costumes at your local tailor shops. Designing with tulle is an easy job. But, this easy job can bring an exceptional flavor to your wedding ceremony.